Shall we have a classic books thread? 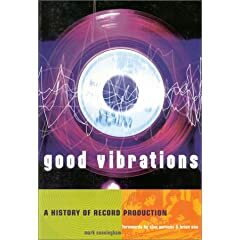 What music tech/production/ music related books would you recommend and why? Currently I'm looking through 'Recording The Beatles'. Some excellent information in there... already a classicin some circles. Just finished a first edition of 'the microphone handbook' by john eargle. It gets pretty in depth but is WELL worth the read. I'm working through Cakewalk Synthesizers by Simon Cann Cakewalk Books -Cakewalk Synthesizers at the moment. I also have The Guide to Midi Orchestration by Paul Gilreath on my shelf which I refer to from time to time. The Mix Engineers Handbook (Owsinski) is pretty much required reading. Alton Everest's Book on acoustics is heavy going but a goldmine if you are planning to build a place. I have a nice one for people who are starting into the audio "industry" , it is by a portuguese author but i do not know if it has translations. The name of the book is "Introdução à Engenharia de Som" written by Nuno Fonseca who works at AES. It explains quite well sound engeneering without the calculations behind it. Nice bedtime reading there, Trev! Just what I need after a hard day running around after the little fella! 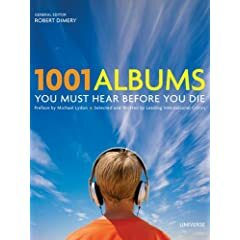 I've heard good reports on The Mix Engineers Handbook. Is it fairly comprehensive? Some of the comments on Modern Recording Techniques at Amazon.com: Modern Recording Techniques, Sixth Edition: David Miles Huber, Robert E. Runstein: Books are quite conflictive...but then I suppose you can't pleaz all da people all a da time!! Has anyone else been given a christmas present of this? Very light reading and definately not a CLASSIC in my opinion. It's not even good for propping up the bed!! F. Alton Everest's Book on acoustics is heavy going but a goldmine if you are planning to build a place. If you haven't read those two, I'd *strongly* suggest them. They were required reading when I was an intern, then again when I was getting my CTS certification. I still refer to both of them all the time. Dance Music Manual - Rick Snoman - great starting point covering aspects of dance music production - good for other stuff too. Critical Listening Skills for AudioProfessionals by F.Alton Everest - Listening training for engineers - actually really useful to help you understand the detail of what you hear in a mix while working on it. How complete is it Khazul for a beginner who knows a little about dance music? It pretty much covers all aspects. From technology and basic music theory to production techniques and many genres. Sections cover music theory, midi, synthesis, sampling, drum programming, common signal processors and effects, writing (song maps etc), mastering and production, remixinbg and the legal side of it, promotion, a bit on DJing, loads of aspect of various genres (but was written before current electro house/tech house etc), and quite a bit about various class dance musinc synths and drum machines etc. If you want an understanding of pretty much all the bases then its very good. I bought it so my girlfriend would have a good reference as quite a few producers I know recommended it. I found it quite useful in some places as well (I used to be professionally involved in mxing and production years ago, so didnt need that side of it), however it still provided me with alot of useful insights here and there. I'd recommend another Bob Owsinski book, The Recording Engineers Handbook... covers a lot of the basics and terminology used in recording, would serve as a very useful primer and reference for anyone starting out in recording. +1 Dave, will check it out. LOL Just as well I'm on record as saying hip hop isn't really my thing! I feel better now.